Samsung has unveiled a first of its kind glasses-free eye mouse called the EYECAN+, an improvement over their first EYECAN. This next-generation mouse enables disabled people to edit documents and surf the web with only their eye movements. In order to use the EYECAN+, the user has to be looking at the monitor from a distance of 60-70cm. As it relies on eye movements to function, calibration is necessary the first time the EYECAN+ is used. Once the EYECAN+ has been calibrated to the user, almost every action that requires a pointer can be accomplished such as scrolling, clicking, and copying. In order to click on something, the user simply has to blink once while looking at the specific icon. EYECAN+ is a voluntary project initiated by the engineers of Samsung out of their passion and commitment to engage more people in the community. In comparison to the first-generation EYECAN, the EYECAN+ has a better calibration sensitivity and user experience. 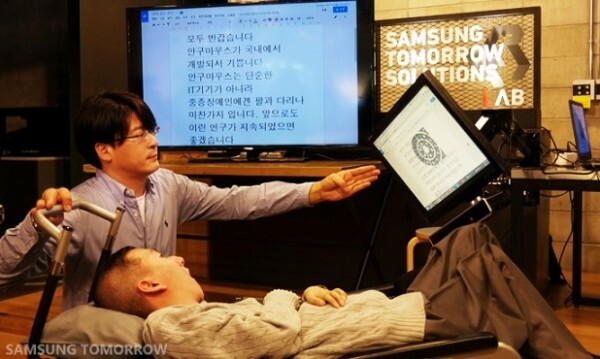 While Samsung doesn’t plan to commercialise the EYECAN+, Samsung will manufacture a few units to be given out to charity organisations. The design and technology of EYECAN+ will be made open source as well, a very commendable move by Samsung. As it is, EYECAN+ is only used as a way for disabled people to communicate with a computer. 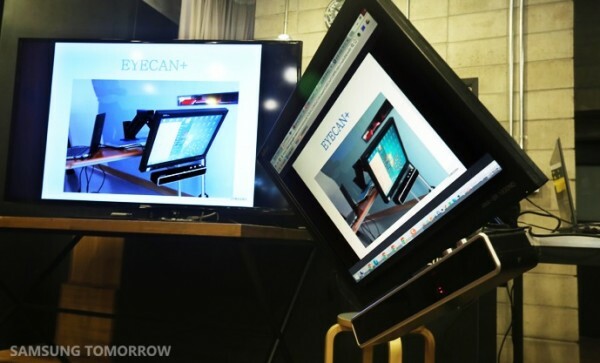 With Samsung’s decision to make the technology of EYECAN+ open source, we might see the application of this technology at other fields, such as the mobile phone or gaming industry.